Having struggled to become a motor mechanic, Isaac Boshomane has vowed to help young people to acquire the skills and qualifications needed to become a qualified mechanic. 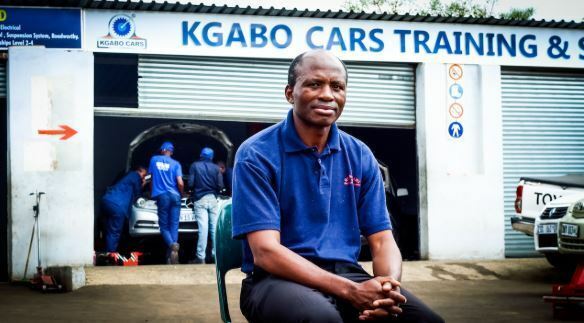 Aged 52, Boshomane from Soshanguve is the proud owner of Kgabo Cars, a workshop that offers artisan skills training for learners studying at Technical and Vocational Education and Training (TVET) colleges. Boshomane’s company was registered in 2001, while he was still working. He only started working on it full-time in January 2012. Since then, more than 60 artisans have been produced from Soshanguve township. In the workshop, young people do service, repair and car maintenance, while transferring their skills to others. “We give them practical exposure until we take them for a trade test to qualify as national artisans in motor mechanics. For them to love what they are doing, I try to make them not see it as a hard work, but something that they chose and they can excel in,” Boshomane said. SAnews caught up with Boshomane just after receiving the Minister’s award for recognition of the most outstanding individual at the National Annual Skills Development Awards on Thursday. The most outstanding individual award, which was presented by Higher Education and Training Minister Naledi Pandor, recognises an individual who has distinguished themselves in their professional, organisation and community within the skills development system. Boshomane said the award is a beacon of hope for young boys and girls in the township. “With this award, I think they will now have hope. It will actually motivate other young people at the workshop to work harder and say if he [Boshomane] can do it, we can also do it because he is also from our own surrounding,” Boshomane said. Held under the theme, ‘Building a demand-led skills development system that focuses on inclusive economic growth’, the awards recognise the best skills development practices in National Skills Fund-funded projects in various sectors and categories. The emphasis of the award is also on individuals, organisations and institutions that have shown excellence in promoting employment, and on the needs of unemployed people, especially young people. Speaking at the prestigious award ceremony held in Boksburg, Gauteng, Pandor said skills development remains government’s priority, and it is the key enabler for inclusive economic growth. “Dynamic changes are taking place in the world of work. 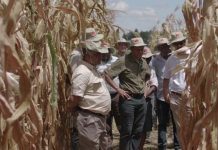 These changes require a well-coordinated and collaborative approach,” Pandor said. Pandor urged all key role players to focus on monitoring and evaluating their progress in learning progress and identifying and reporting blockages, detours and loops. “By highlighting what needs to be improved, we will be able to review policies, curriculum and Sector Skills Plans, so as to ensure that we respond quickly and efficiently to any issues that emerge,” the Minister said. Media Works Interactive, Chemical Industries Education & Training Authority (CHIETA) sector. Training Authority (ETDP SETA) sector. Aranda Textiles Mills, Fibre Processing and Manufacturing Sector Education and Training Authority (FP&M SETA) sector.